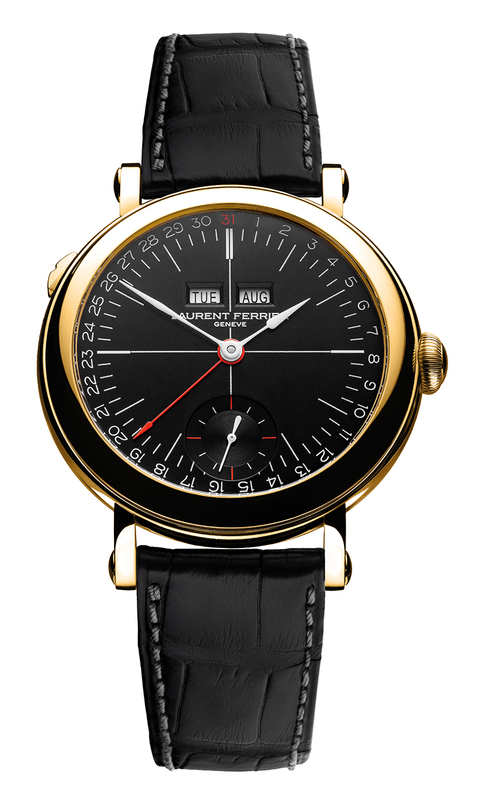 2018 was a good year for Laurent Ferrier, as their Galet Annual Calendar Montre Ecole won the award of GPHG in the Men’s Complication category. The win may have gotten their creative juices flowing and they decided to offer an addition to the award-winning caliber. They drew inspiration from the contrast of black and white on the chessboard. The starkness and purity of black and white created the clean backgrounds for their newest opaline dials. The Galet Annual Calendar School Piece Opaline Black & White was designed entirely in-house and the aesthetic embodies the values and spirit of Laurent Ferrier. The watches handle smoothly, and the dials give visual balance, readability, and performance. The annual calendar complication pays tribute to Laurent Ferrier’s first manual winding movement, the tourbillon double hairspring. The new caliber has a long ‘blade’ ratchet, and for the first time (no pun intended), they offer a desert sand 18k yellow gold version. The calendar complication is nicely done and it makes the watch dial oh so proportional. The watch has the date and month on the dial, along with the day of the week. Looking at the dial, you see the day of the week and the month in their separate beveled apertures, and for a second, you search for the date. Then you realize it is along the perimeter, marked by numbers 1-31. Adjusting the date month is simple, thanks to the fast-adjustment using the crown. Adjustment to the date is needed once a year, on March 1. Hours are marked by simple lines, probably to avoid the confusion of too may numbers visible on the dial. 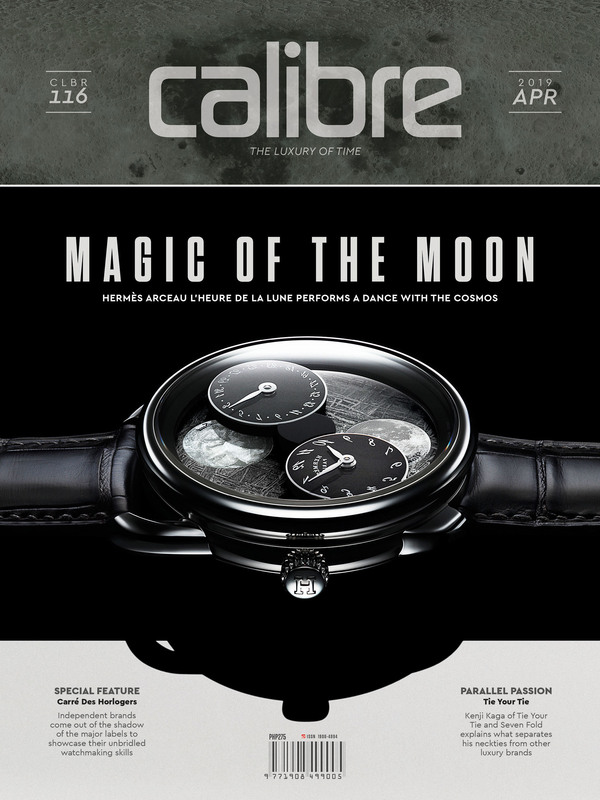 Both the white dial and the black dial are equal in terms of readability, and yet, each one has a quirk that sets it separate from its partner. For the while dial, the date numbers are in blue (except the 31, in burgundy), and really stand out against the while background. 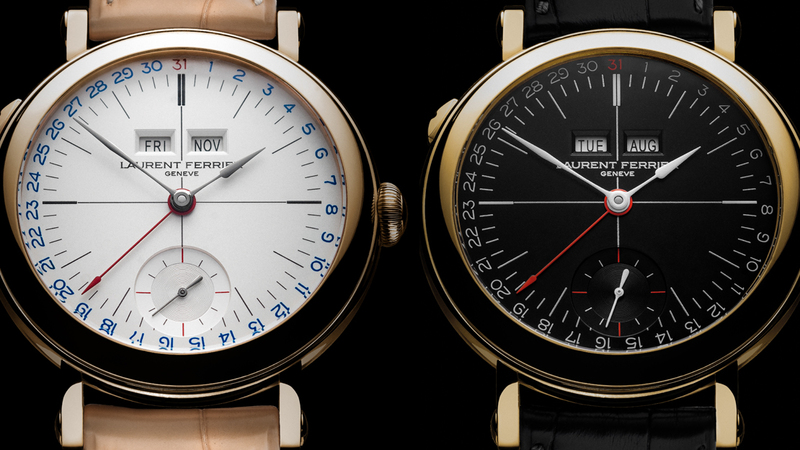 For the black dial, the red the of the 31, the date hand, and the quarter markers of the subdial are what catch your eye. 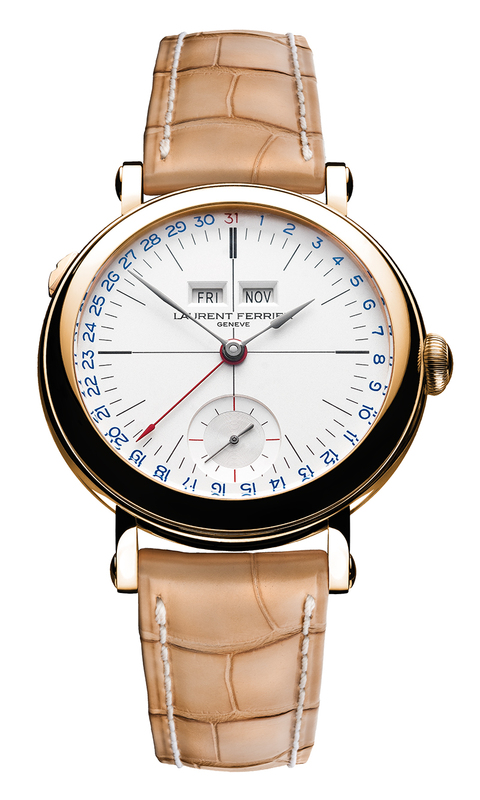 Laurent Ferrier has given us another watch that meets our needs for form and function. The Galet Annual Calendar School Piece Opaline Black & White is the top of the class, and should be on the top of your wish list too.